Tonight has been a special night for me. 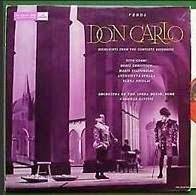 I grew up with an adored selections record of Don Carlo featuring Christoff and Gobbi. Then, when I started singing, one of my first trophy-winning numbers was ‘Ella giammai m’amo’. What an opera. So many great tunes! Almost out-Trovatore-ed Il Trovatore. But, until tonight, I had never heard the full score. Never seen it performed on stage. Well, I’ve got a stack of notes for people. Great bits do not an opera make. I know this piece has been hacked around, in several versions, over the years, and the one that it ended up in tonight needs both librettists (especially) and composer to have a major relook. I was right to love my excerpts record, and after tonight, I love it more than ever, but the padding … a wholly unnecessary last ‘act’ and stupid melodramatic ending included … this is an opera with plenty of powerparts, but which needs serious fixing and cutting. So, to tonight. Splendid setting. The sign of the cross looming viciously over us, as the Catholic religion reigned viciously over the characters and plot. The direction was unfussy, if a little 19th-century (lifting two arms does not equate passion, banging one’s head on the wall becomes boring) and the costumes (with one exception) atmospheric if not always explicable. So we come to the performance. Which I may say, right away, was ‘pretty bloody beaut’! Amongst a wholly A1 cast, I must focus on two young singers who simply blew me away. First, Miss Kristin Lewis from Little Rock, Arkansas. What a dazzling, beautifully controlled voice. Elizabeth has a ghastly victimish role, and really has just ‘Tu che la vanita’ and a share in the great quartet, which is the highlight of the night, in which to show her stuff, and in those, Miss Lewis showed that she is a serious star prima donna of the future. What lovely sounds, what thoughtful singing. I note she is to sing Aida next. That should be a world-class treat. 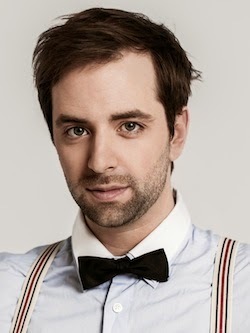 But the star of the night, for me, was the young Canadian baritone, Etienne Dupuis as Posa. Yes, Posa has a large amount of the show’s best music with which to make an effect, but it has to be sung. And tonight it was sung to within an inch of its life. Dupuis has a glorious, warm silky-creamy voice which glid seemingly effortlessly through the swathes of varying Verdi. He was slicingly dramatic in his scena with the King, wonderfully pathetic in the best ‘Per me giunta’ I’ve heard … I really wouldn’t have minded if he’d taken an extra half-hour to die, just to hear him sing. Tonight, that stick of a Don Carlo didn’t have a chance. The opera was clearly Don Rodrigo. That isn’t to say that that the tenor Leonardo Calmi demerited in any way. He sang his part staunchly. But apart from in the scene of martyrdom, the character comes over as such a tenorious wimp that it is difficult to make anything of him. Giacomo Prestia looked and sounded a perfect King Philipp, playing his scenes with Posa and the Inquisitor with a flair that made him wholly convincing as the Monarch with a Dilemma, until that wretched last five minutes when all coherent character-building is shattered in one gunshot. His ‘Ella giammai m’amo’ was suitably sonorous, but a little spoiled by superfluous pacing and gesture. Albert Pesendorfer was unbendingly impressive as the Inquisitor, fencing murderously for the status quo, and that leaves the Princess Eboli. Anna Smirnova is a splendid singer and a huge favourite with an enthusiastic portion of the audience. But someone in the costume department has got it in for her. Last time I saw her she was dressed to ridicule in Nabucco: tonight was nearly as bad. A turquoise tent (why, when everyone else was in black?) and the most frightful carrotty wig. And she has to sing about her ‘don fatale’. Anyway, she sang the pop of the opera superbly, but I just couldn’t believe that this penitent lassie was the same dame that had been prowling about like a camp tigress in Act 1. Méry and du Locle really have a lot to answer for in their libretto, but Miss Smirnova should first sue the costumier. Everyone seemed very happy with Donald Runnicles’ orchestra, which was applauded loudly, the Deutsche Oper chorus did the little they had to do with the skill and effect I’ve come to expect from them, and at the end of the evening I felt that the opera could hardly have been given a better performance. For which, much thanks. But, before I go to see it again, MM Méry and du Locle have got to do wholesale rewrites. And in the meanwhile, I’ll stick to my selections -- that wonderful quartet, the Posa bits, Philipp’s scenas, ‘Tu che la vanita’, ‘O don fatale’ &c – and forget the other intervening bits, and especially the most ridiculous ending to an opera since Il Trovatore. Next stop, Mons Dupuis in Il Barbiere di Siviglia. Long live Beaumarchais! Well, today I moved back into my old-new home. La Belle Fifi returned from Los Angeles via Hamburg, so I had to vacate her sweet flat, with its view of the woodpeckers, Spertholt and Frau Specht, and its proximity to the shops of Gesundbrunnen and the Shalimar and Cocos eateries, and head back to the dear old Invalidenstrasse. The Strasse is a real invalid itself, at the moment. Like much of Berlin. The roads are, to put it politely, ‘up’ everywhere. But nowhere more than here. OK, I understand they’re renewing sewers, water mains, putting in fibre optics and god knows what else goes underground, all at once. But I’ve been here for more than two years, and the same trenches are STILL open. And to top it all, while the roads are ‘out’, they’ve decided to do S-Bahn repairs, so with no cars and no trains available here at Nordbahnhof, we are reduced to isolation, feet (with walking-stick) and buses … I think Town Hall must be mad. But I came back. The Chinese have invaded my nice, former flat, but my landlord promised me something better. So I arrived at no 134 today, sceptical but hopeful … and was delighted. My new home is a virtual copy of the old, but (a) on the ground floor, (b) not-quite-finished new, (c) much cosier … well, it will be soon. Chick peas, spinach, garlic, soy sauce, mozarella, saucisson, $45 dollars of cheeses, one bread roll, maultaschen … I don’t have to eat out ever again! But I shall. This is resto-land. Oh and some vinho verde from my favourite wine store! I shall be happy here. My friend Tibor has made a smashing job of putting this ever-so-new place together (even though he failed tonight with setting up the telly, which I won’t watch till Roland Garros anyway!). Paul got the brand new wifi under control … the water is hot, the shower strong, the (puce!) bed comfy … what else does a man need? 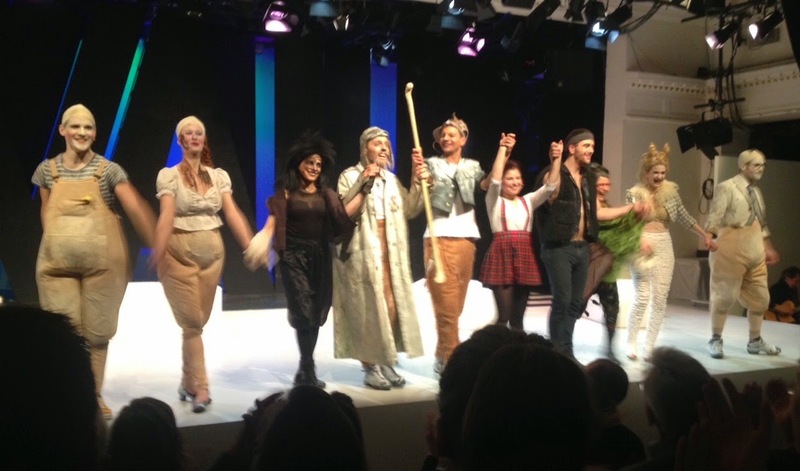 Last year, while in Berlin, I went to see the musical produced by the UDK musical-theatre school and its graduating students. I was really impressed, not only by the standard of the performance, but by the fact that they performed a fine new musical, written especially for them by the well-known team of Zaufke and Lund. A grand challenge, requiring the young people to put up original performances, and not you-tubed imitations. And a challenge well met. So, when I saw that this year’s graduates were to perform another new Zaufke-Lund piece, I booked in. With difficulty. The whole run was sold out, with a waiting list for returns and people standing outside with placards ‘Tickets wanted’. For a student show! This year’s show was significantly unlike the earlier one. 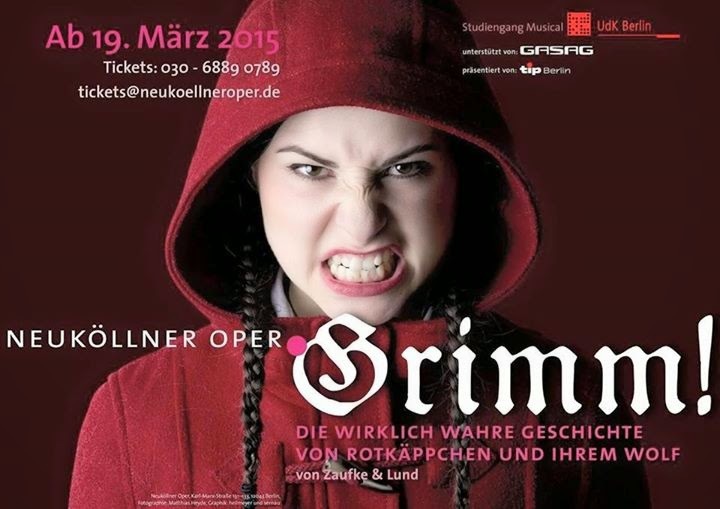 Whereas Schwestern im Geiste was a largely serious piece, Grimm! is anything but. Oh, sure, it has its little message of social and sexual tolerance to purvey, but first and foremost it is a grand old fairytale burlesque, brimming with fun and deconstructed Grimm tales, and decorated by a score of catchy and jokey music with references to everything from ‘Who’s afraid of the big bad wolf’ and the Disney soundtracks to the Queen of the Night’s Vengeance aria or Der Rosenkavalier. A feast for young folk to get their teeth (grrrr) into. A cast of eight represented a spunky Red Riding Hood (Devi-Ananda Dahm) with a distinct resemblance to Belle of Beauty and the Beast and her ‘beast’, the wolf (Jan-Philipp Rekeszus), the three little pigs (Fabian-Joubert Gallmeister, Feline Zimmermann, Dennis Hupka) – the smart, the fat and the dumb one – flighty Madame Goat (Katharina Beatrice Hierl) and her fabled goatlings, the village elder, Sultan the hound (Dennis Weissert) and his rednecked son (Anthony Curtis Kirby), plus the other denizens of the wild, wild wood: the beturbanned owl (Sophia Euskirchen) and the spiky wild pig (Kiara Brunken). Mix, stir, deconstruct, turn the story and the characters upside down and the wolf turns out to be a nice chap, the fat pig is slim … as the tale of Town versus Wild Wood winds to its happy ending amidst a shower of song and dance. The cast were, each and every one of them splendidly skilled, across the board, in song, dance and comedy. To single anyone out would be invidious. Alas, with my poor German I missed the subtleties in the text (and the audience laughter told me there were lots) but I was agreeably surprised at how much I did catch, thanks to excellent diction and delivery and a slightly forceful sound system. However, I did not miss the subtleties in the direction, the dancing and most especially the music and singing. I enjoyed the frank burlesque numbers the best: one or two were a little near the real thing (eg the wolf’s Wildhorny solo and Red Riding Hood’s reply) in writing or delivery, but that almost always happens with parody. It’s a thin line. My utterly favourite musical moment of the night was the mad, waltzing love-duet between the wildwood pig and the town pig, ending with the two having a lovely wallow together (‘Schwein gehabt’). And there were plenty other moments of delightful fun, music and dancing to fill more than 2 hours of playing time, ending with the littlest pig planting a luscious kiss on the big, good wolf’s lips! The audience went crazy. Grand six-piece band (sounded like many more, and they must have been tripling instruments! 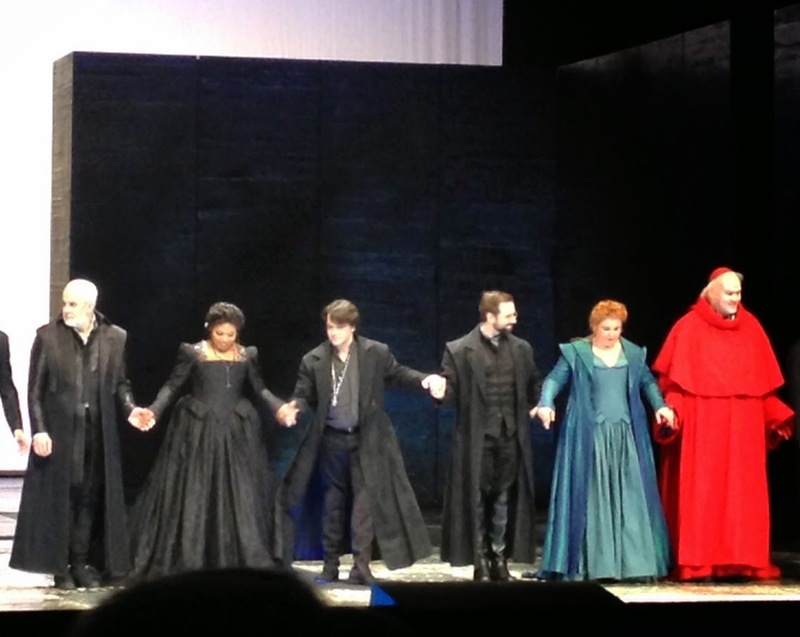 ), lively direction – and, for the second year in a row a marvellous, yet simple, stage setting by Ulrike Reinhard. In the foreground, the letters D.O.R.F in blocks of white, at the back W.A.L.D in black. And never the twain shall meet. Without a word being said, the situation is set. And then Little Red Riding Hood slips into the wild, wild wood and things begin to change. I have a feeling that Grimm! will be played a fair bit beyond the Neuköllner Opera and UDK. 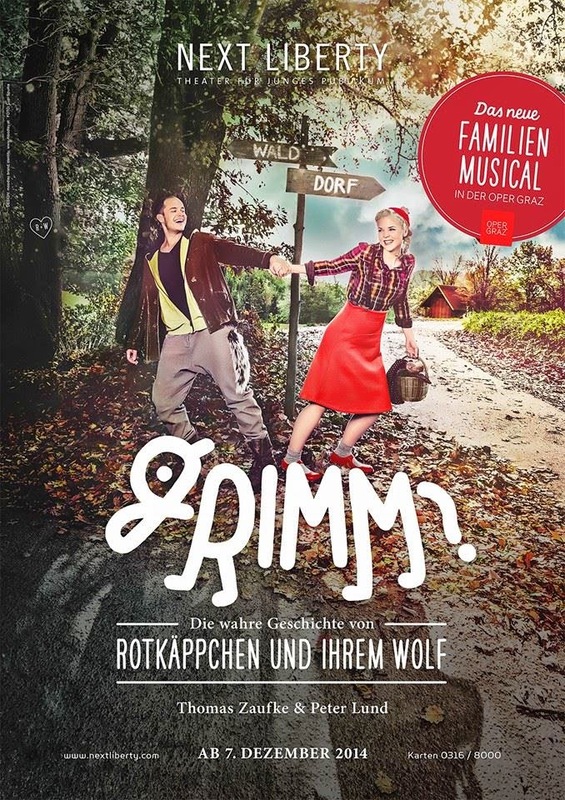 In fact, the Opera House in Graz has already got off the mark, and to judge by its posters is aiming at a ‘family’ audience (note the difference in the length of Red Riding Hood’s skirt). And why not? Kids will probably miss as many ‘subtleties’ as I did: and have just as good a time as I did! PS Note to students. If you aspire to above the title, in-lights billing, long and three word names can be costly. So my Berlin music season is underway. A little ahead of schedule. The Pianosalon had a late change of programme for last night, and the replacement was a nice sounding concert – Rachmaninov, César Franck – by Bernard Klöckner (cello) and pianist Anna Fedorova. So we put on our shoes, and headed up the road to our favourite concert venue. It was grand to be back at the Pianosalon. It is such a warm, characterful place, just made for music. I was sad to hear that it is going to have to shift premises, but apparently not far and into another characterful building, so fingers crossed. And let’s enjoy this version of the venue while we can. The well-attended concert started with a piece called, inexplicably, ‘The Enchantment of Venus’ by Howard Blake. I don’t know whether that was Venus the goddess or Venus the planet, but I found it rather nothingish. And the sound was odd. The piano sounded as if the pedal had got stuck (it hadn’t, I looked), and the cello sounded, from note one, like honey. Which is lovely, but too much honey becomes … well, too much. There is nothing wrong with the accoustic in the Salon, was it the placing of the instruments? The cellist spent a lot of time looking off stage right (and half the audience looking thus at nothing but his left elbow). I don’t know. The Franck was somewhat livelier and definitely more tuneful, the Rachmaninov … well, was the Rachmaninov. It’s hard, listening to young artists playing works that you have heard played by the greats. For me, something just didn’t click wholly. The young man is a very facial player, somehow the expression in his features just didn’t seem to come down the bow and out of the instrument. And I was irresistibly reminded of that painting of Edith Sitwell (was it?) with a cello or bass. Then came the unscheduled programme. Calling additional numbers ‘encores’ is a bit silly. And, strangely, when the players let loose on a Chopin polonaise, the constraint seemed to have gone. As if saying ‘well, we’ve got through the big stuff, let’s have fun’. And it was fun. So (apart from another smidgin of Blake), we ended on an upbeat. One lingers a little in the atmosphere of the Pianosalon, but the hour was tardy, and we’ll be back soon … so off to the Hochstrasse and bed. If that night out hasn’t killed my jetlag, nothing will.